The evaluation committee for Robert Amos Ngwira's defence has approved his thesis for public defence. 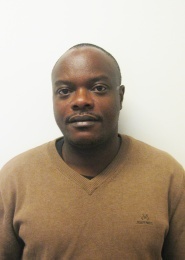 The title of his thesis is: Conservation agriculture systems for smallholder farmers in Malawi: An analysis of agronomic and economic benefits and constraints to adoption. The title of his trial lecture is: Enabling adoption at scale: Considering policies, institutions and markets for successfully scaling up agricultural technologies in smallholder farming systems of Eastern Africa. Conservation agriculture (CA) based on minimum mechanical soil disturbance, permanent organic soil cover and crop rotation is increasingly promoted to overcome problems associated with conventional tillage (CT) such as soil fertility decline, low and unstable crop yields and high production costs. Because of the resilience of the CA farming system, CA may be a tool to assist farmers as they adapt to variable and erratic rainfall resulting from the influence of climate change in sub-Saharan Africa (SSA). This study evaluates the agronomic and economic benefits of CA and constraints to its widespread adoption among smallholder farmers in Malawi. This study draws its empirical data from collaborative work between the International Maize and Wheat Improvement Centre (CIMMYT); the regional non-governmental organisation, Total Land Care (TLC); Agricultural Research and Development Programme (ARDEP); the Malawi Government extension services; the Department of Agricultural Research Services (DARS); farmers and farmer focus groups that were conducted between 2005 and 2012. The study was conducted in 12 target communities of 10 Extension Planning Areas (EPAs) in 8 districts in central and southern Malawi.